#1 New York Times bestselling author Marie Lu is giving us the untold story we didn't know we needed—Batman as a teenager! 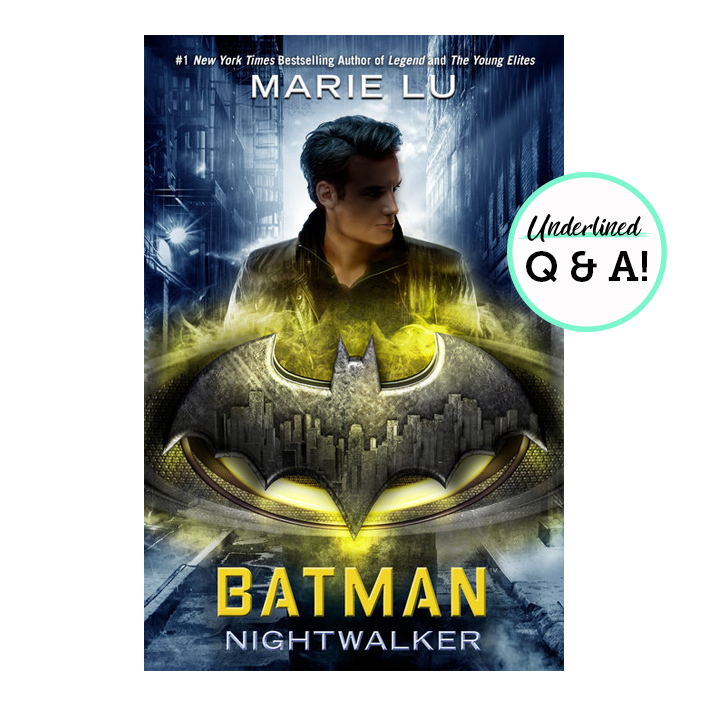 In this Q&A Marie Lu tells us what it was like writing the next book in the DC Icons series, Batman: Nightwalker. 1. Did you like super heroes growing up? Who was your favorite? My earliest super hero memory is watching Batman: The Animated Series, which I loved. He just looked so cool! I remember drawing the Bat-Signal repeatedly on sheets of paper because it was difficult for me to get right. I also adored Clark Kent—just Clark, not Superman!—and Lois Lane because of the show Lois & Clark: The New Adventures of Superman. Dean Cain + Teri Hatcher ’ship for life. 2. What was it like getting to write an original story about an iconic character? Exciting and intimidating. It’s such an honor to get to play in the world of a universally known character like Bruce Wayne—but with that comes the burden to do right by the fans. It was a constant balancing act of respecting the established canon while finding the unexplored pockets. In my case, very little is known about Bruce Wayne as a teenager, so I had fun filling that gap. 3. Who is your favorite iconic villain? Does anyone remember Yzma from The Emperor’s New Groove? I about died laughing the first time I saw that movie, and Yzma—together with henchman Kronk—just leapt right off the screen. What memorable characters. I mean, the emperor did start off as a complete jerk, so can you blame a woman for scheming to get rid of him? Also, she ultimately turned into an evil, power-hungry kitten. Accurate cat representation is accurate. 4. Do you have any unique writing habits? What is your process like? My favorite time to write is early in the morning, between the hours of 6 and 11 a.m. I also always have some kind of music playing: movie or video game soundtracks, ambient rain sounds, or piano music. Whatever it is, it can’t have lyrics! 5. What is your favorite show to binge-watch? The last show I truly binge-watched was Stranger Things. My husband and I tore through that in a weekend because it was impossible to stop. What a perfect combination of nostalgia and horror and mystery. I’m excited for season 2! 6. What is a fun fact about you that your readers might not know? This one’s kind of gross, so I apologize in advance. When I was three years old, I was bitten (on the EYELID) by a wild rat. A few days later, I had a seizure and ended up in the hospital for several weeks, after which I abruptly woke up one day and was fine. I’m still waiting for my superpowers to manifest. 7. What is the one thing you want readers to know about Batman: Nightwalker? I got to create a brand-new villain for Bruce Wayne to face! Developing Madeleine Wallace was the most fun part of the entire process for me, so I hope readers enjoy her interactions with Bruce. Why are you excited for Batman: Nightwalker? Tag us @GetUnderlined! 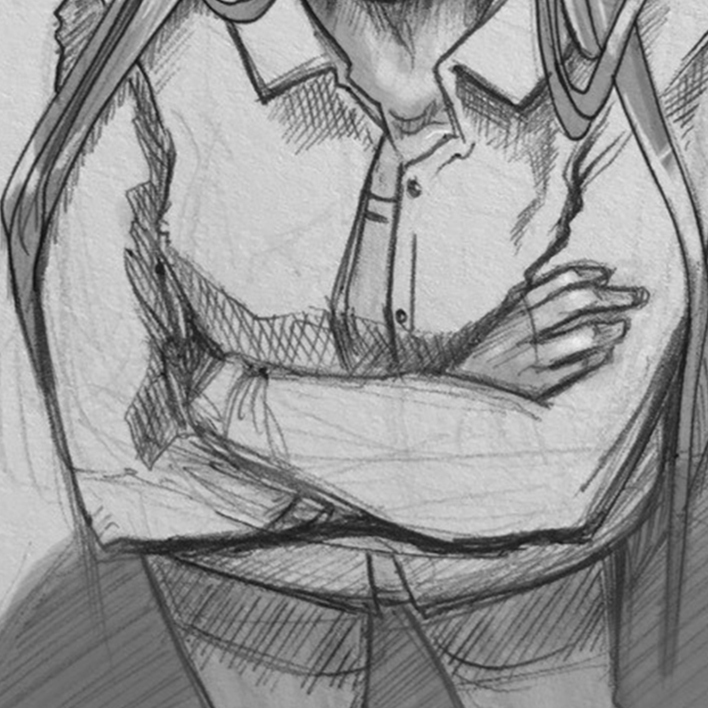 These Character Sketches by Marie Lu Have Us PUMPED for Batman: Nightwalker! TOUR ALERT: Marie Lu is Hitting the Road for Batman: Nightwalker!